Halloween might still be a couple of weeks away - but the award for best costume has already been decided. 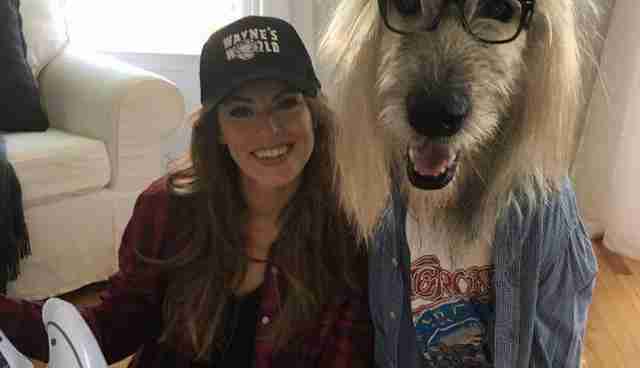 Over on Reddit, a photo has emerged showing former Miss Delaware, Kate Banaszak, and her Irish wolfhound, Kellan, dressed as characters from the 90's film classic "Wayne's World." While Banaszak's Wayne costume is awesome in its own right, the dog's Garth - with trademark disheveled hair and thick black frames - couldn't be more spot on. 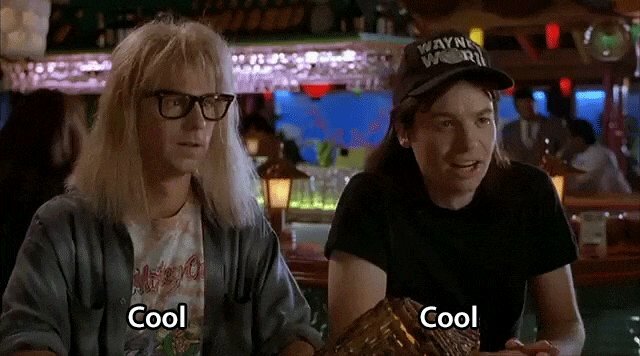 "I actually toyed with other costume ideas because I thought Wayne's World was so 90's, a lot of people may not 'get it,'" Banaszak told The Dodo. "But, I'm a huge fan of the movie so decided to go with the idea anyway!" 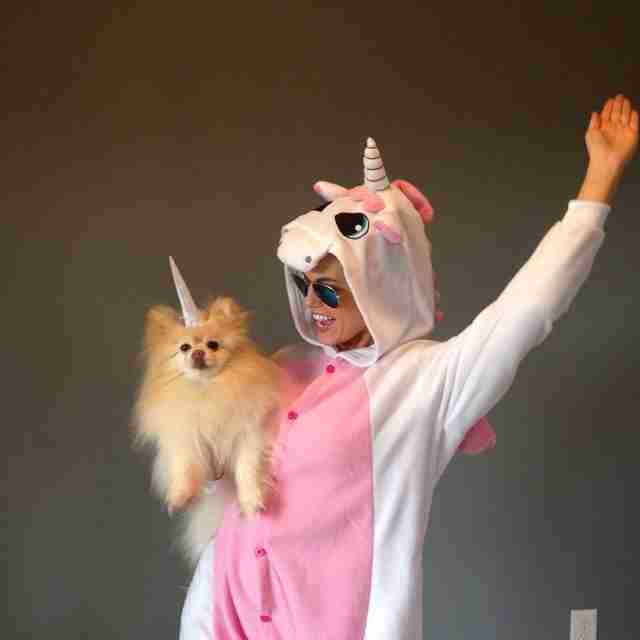 It's worth pointing out that this isn't the first time Banaszak has picked a furry friend to be her costume buddy. 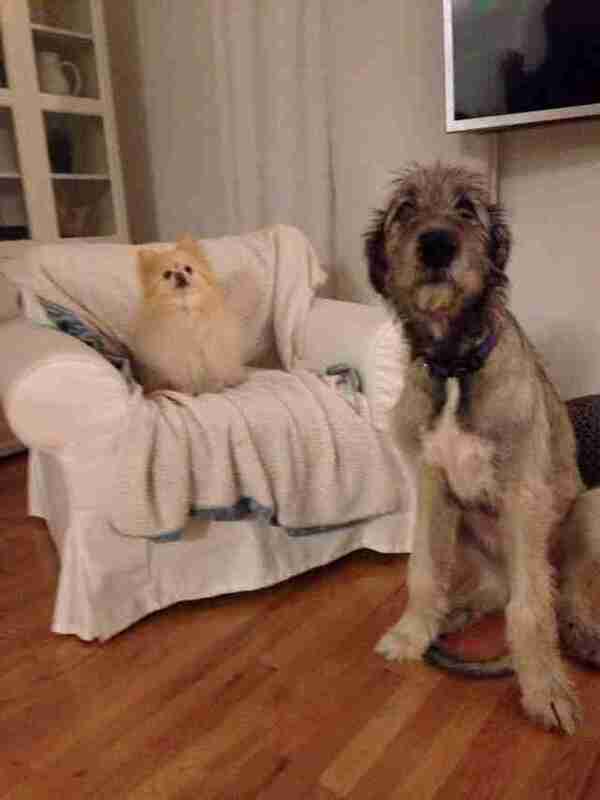 Turns out, last year Kellam's smaller sister, Bella, got in on the action, too.